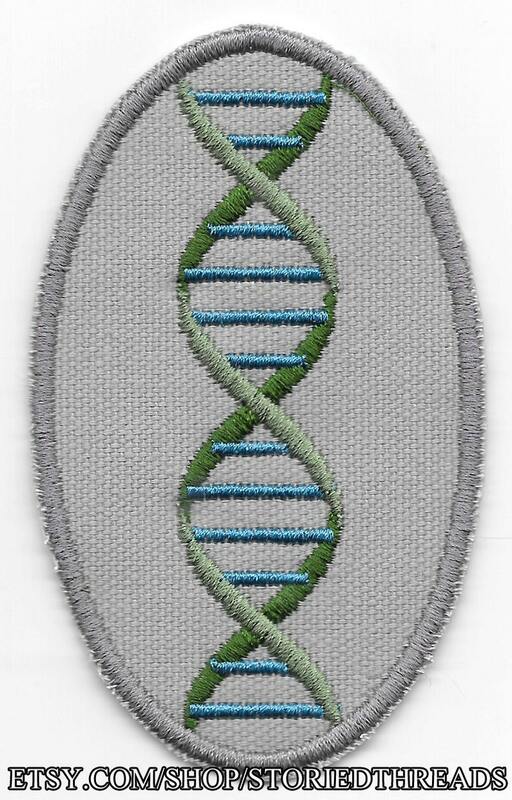 Show of your science side with this colorful double helix patch! This sew-on patch is stitched on gray cotton canvas, and measures approximately 2.5" wide by 4" tall. Design (C) 2016 Storied Threads/Veronica BaileyStandard shipping for all items is by First Class mail and does not come with tracking information. If you wish to add tracking, please ask (an additional charge may be necessary). These shipped within the described time frame, the patch is fantastic, and it was super easy to sew on! Good quality, good communication from seller, would buy from again.